While dietary fiber can minimize constipation and help with hemorrhoids, it also can reduce obesity and lower your low-density lipoprotein (LDL), or “bad” cholesterol level. Men younger than 50 should be consuming 38 grams of fiber per day, while women should have 25 grams. Men and women over 50 should have 30 and 21 grams, respectively. 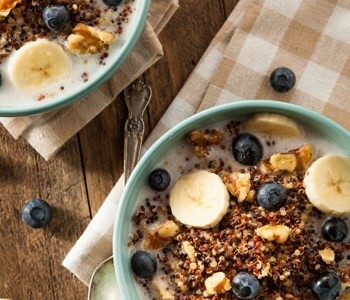 To add more fiber into your diet, try eating whole bran cereal with at least five grams of fiber per serving and adding more beans and nuts to your meals and snacks.